Tour Length: Tours take approximately 1.5 hours w/ a brief training class. Want a mountain tour like never before? 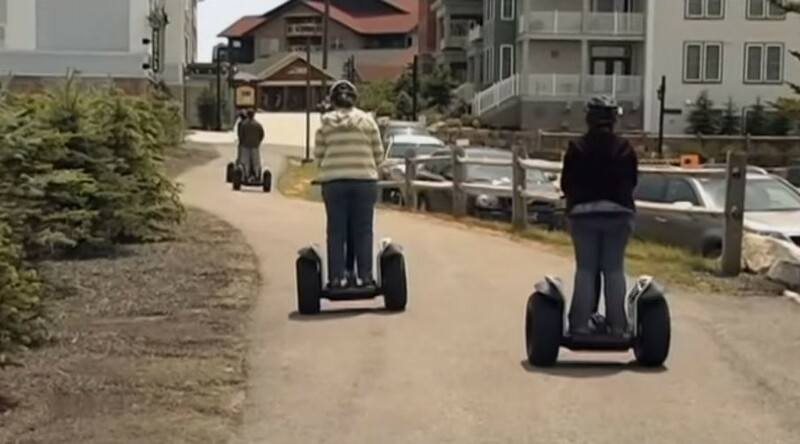 Try a Segway Tour at Snowshoe Mountain Resort ! Segways are self-balancing, zero emissions, personal transportation vehicles. Snowshoe Mountain has Segway X2 models designed to go off-road and into the woods as well as I2 models to explore the mountaintop paths and Village area. You’ll be trained on how to use the machine, and then off you go with your guide to get a different look at the mountain. Cameras are encouraged! The Segways have zippered compartments for water, extra clothers, etc.